We can ship to almost to any address in the world. Note that there are restrictions on some products, and some products cannot be shipped to international destinations. When you place an order, we will estimate shipping for you based on the availability of your items and the shipping options you choose. Depending on the shipping provider you choose, shipping date estimates may appear on the shipping quotes page. Please also note that the shipping rates for many items we sell are weight-based. To reflect the policies of the shipping companies we use, all weights will be rounded up to the next full kilogram/lb. Shipping and handling charges are determined by the merchandise dollar amount of your order before any deductions. MOTORESS charges sales tax on all orders where applicable. Shipments outside of Canada may be subject to import charges, which are the responsibility of the purchaser. Your order may be subject to VAT, import duties and/or taxes, which are levied once your package reaches your country. MOTORESS ships your package D.D.U., “duties and taxes unpaid”, and does not collect import VAT, duties and/or taxes and cannot predict what your particular charges may be. If you do incur these other charges, they must be rendered in order for your package to clear customs. For more information about your country’s custom policies, please contact your local customs office. Products that are sold on MOTORESS will have one retail product price that is not calculated by exchange rate. You will see the exchange rate applied in your credit card summary at the time of receiving your statement. To know the exact price before you buy, simply add items to your order and check out. We will tell you the exact charges of your desired items before you actually place an order. There are no special offers on our shipping rates. Please note that the total shipping and handling charge will not increase after order is placed. If items are back-ordered, the total shipping and handling charges will be allocated proportionally and charged as the merchandise is shipped. All back-ordered items ship out via Standard Delivery. 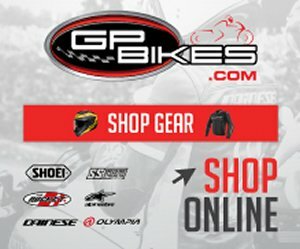 MOTORESS does not ship to APO/AP addresses. For multiple quantities please contact us directly for quote. For pieces/quantities over six items each, you may be eligible for special pricing. Adjustments are made during check out. Enter offer code in special box indicated during checkout process. Orders to Hawaii, Alaska and International orders to Australia, Asia and South Africa will be shipped surface/standard. Special promos do not include shipping fees assessed for returns, cancellations and exchanges. Offers cannot be redeemed for cash or used as payment credit toward other items. MOTORESS Termsapply including processing and delivery times noted below. Duties may apply and are at the expense of the purchaser. Offers are not tax exempt; applicable taxes will be included in order. Business Days: Monday – Friday, excluding federal holidays within Canada/United States. Processing Time: Orders received between Monday and Friday are usually processed within three to five (3-5) business days excluding weekends from date of payment receipt. We take great pride in the products and offer excellent quality and value. However, if for any reason you are dissatisfied with your purchase, we’ll assist you with an exchange only. For hygienic reasons there are no refunds or exchanges on cosmetics purchases. We regret that we are unable to refund your original shipping charges unless the return was a result of error on our part. **There are no refunds or exchanges on International orders (outside USA and Canada). We’ll gladly accept exchanges only for any MOTORESS product upon receiving your items within 30 days of the PURCHASE date. To ensure a timely exchange to your account, please issue a request for return authorization. We regret that we do not refund original shipping costs with the return and a new shipping fee will be charged to your account. *There are no refunds or exchanges on International orders (outside USA and Canada). Your item may be exchanged within 45 days of the purchase date. Items returned more than 30 days after the purchase date will not qualify for exchange. The exchanged item will be issued as soon as we receive and process your item; shipping charges will be applied. All items purchased on sale /reduced price are final sale. Please note that we are unable to pay return shipping fees and you will be re-billed for new shipping fees for your re-sent exchange. We will provide refund only if any MOTORESS product is deemed faulty or defected by our quality control department and if we have received your return within 30 days of the PURCHASE date. Our quality control department will upon receipt determine if the product is defective. All items shipped from MOTORESS.COM online have gone through the highest quality control standards and leave our order processing warehouse in perfect, new state. Please note our cosmetic items, due to hygienic reasons, are not refundable. All our “Beauty Gear” products are hypoallergenic, fragrance free, allergy tested and non-comedogenic. We list the ingredients on the website in order to assist you in avoiding the purchase of an item where an allergy is known. Our products are made in Canada and of the highest standard meeting all consumer approvals. If you have a specific inquiry not answered in our information or product details please send your inquiry to Customer Service or feel free to contact us using the details on our Contact Us section of this website. We regret that we are unable to refund original shipping and handling costs. It takes up to 30 business days to process exchanges or eligible returns. We will notify you via e-mail once your return has been processed. Please note that your financial institution will likely take approximately seven business days to reflect this transaction. eGift Certificates can be redeemed only online at MOTORESS.com. Recipients of eGift Certificates must have e-mail and access to the World Wide Web in order to receive and redeem their online eGift Certificate. When you purchase an online eGift Certificate with MOTORESS.com, we will automatically send the recipient an e-mail within 24 hours, including the eGift Certificate code and instructions for use on shopMOTORESS.com. The code should be entered onto the Payment Information page of the checkout process. If the amount of the order exceeds the amount of the eGift Certificate, the recipient will need to use a credit card to pay for the balance of the order. If any online store credit is available to the recipient, then the store credit will automatically be applied first. eGift Certificates may only be used to purchase merchandise and cannot be used to purchase other eGift Certificates or store Gift Certificates. MOTORESS will not honour MOTORESS Gift Cards or eGift Certificates sold by any other vendor or person other than MOTORESS. eGift Certificate Expiration: Only promotional eGift or coupon codes have a limited expiration date. eGift Certificates purchased by our customers on MOTORESS.com are valid for 15 months from date of receipt. Combining eGift Certificates: You can use one eGift Certificate towards the purchase of your order. Just enter the code in the eGift Certificate area of the Payment Information step in the checkout process. Recovering and/or Resending eGift Certificates: Send a note via our ‘contact us’ page and we will resend the redemption code for the eGift Certificate to the original recipient address. Please remember to include the recipient e-mail address and/or the order number with which it was purchased. If you sent the eGift Certificate to the wrong e-mail address, please contact us. Our representatives will only be able to resend your eGift to a different recipient if it has not been redeemed. Promotional eGift Certificates and coupons cannot be resent or recovered if deleted. Returning eGift Certificates: eGift Certificates are not refundable. Returning Orders Paid by eGift Certificates: We do not offer cash refunds for eGift Certificate purchases. Our usual return policy applies.